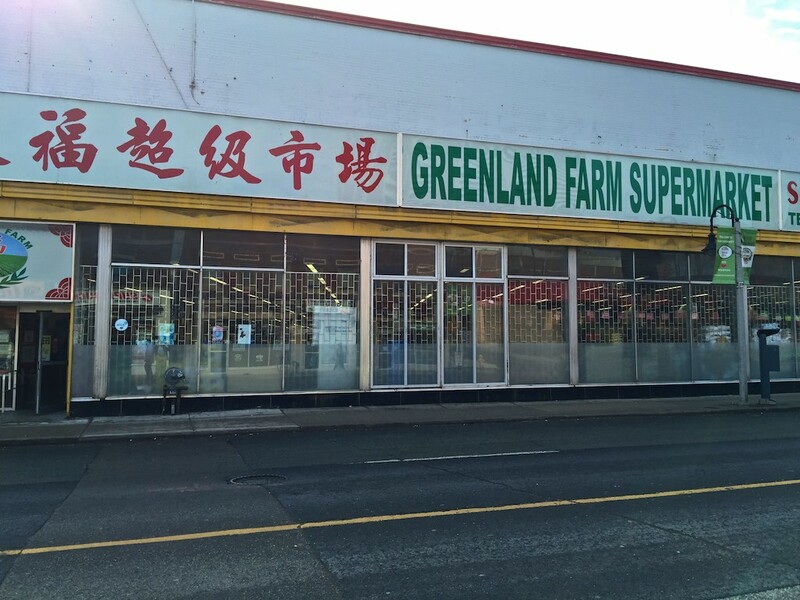 Greenland Farm Supermarket – a (not so) hidden treasure. The somewhat stern exterior of GFS. At one time, Loblaws had a supermarket in ‘downtown’ Weston near Weston and Lawrence. Loblaws moved aside years ago and eventually opened its Superstore at the Crossroads Plaza. In its place we have Greenland Farms Supermarket. Some people don’t use GFS because it contains lots of ethnic foods and doesn’t quite have the glitz (or high prices) of a chain supermarket. On the other hand, many use GFS for precisely that reason. You can’t use Air Miles or coupons and one of their checkout lines is exclusively for cash. While the place occasionally smells of fish (they have large sections dedicated to a wide variety of fresh and frozen seafood), it’s clean and well staffed. GFS is a fascinating place that is fun to explore and the go to place for people who appreciate foods from around the world. 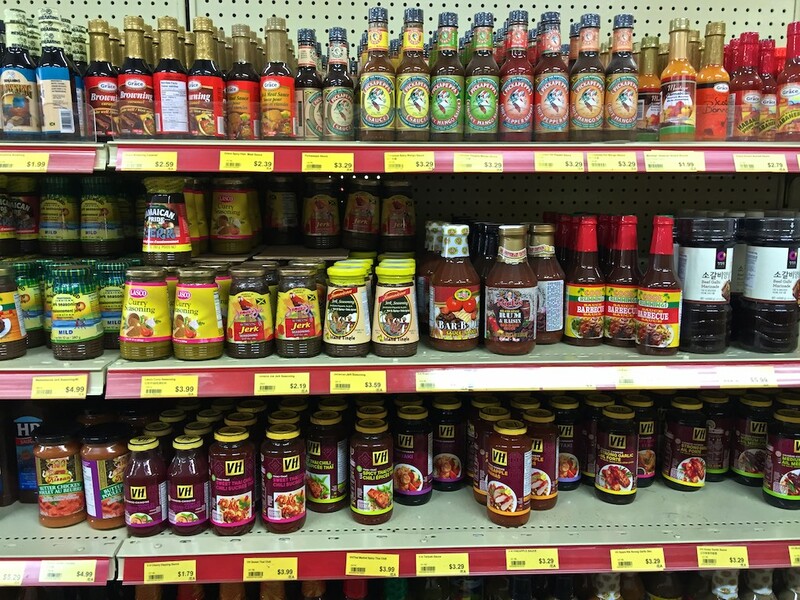 If you like spicy sauces and seasonings South America, the Caribbean, Vietnam or elsewhere, GFS has you covered. I even found large jars of Marmite (it’s the Brit version of Vegemite). Mexican / South American food anyone? If you like spicy sauces, GFS probably stocks your favourites. In addition, prices are low. For example, Campbells Chunky Soups are $5.00 for two. 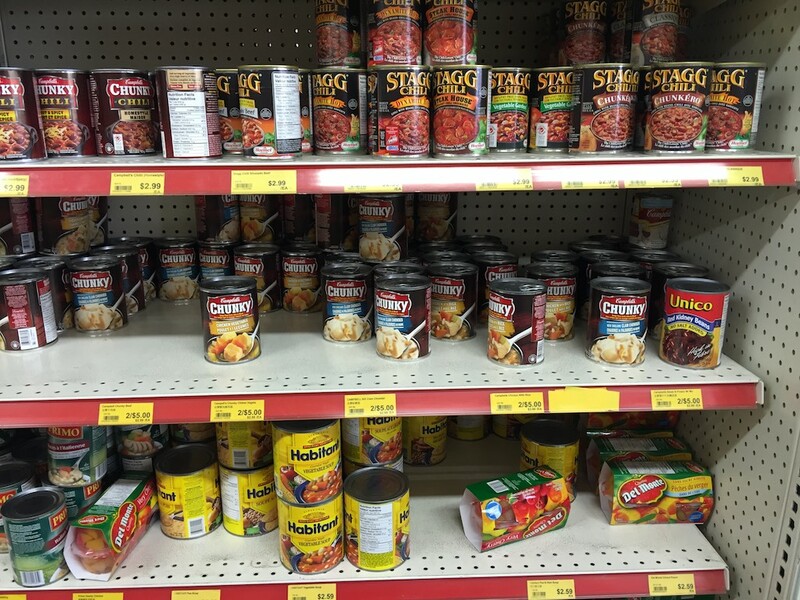 Soup and Chili at good prices. 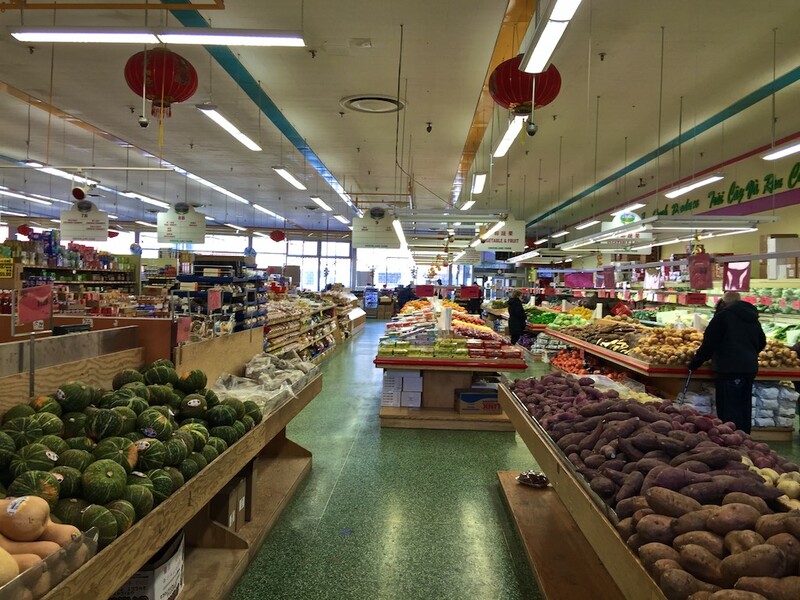 GFS has a large produce section with lots of fresh and dried fruits and vegetables. Some of these are quite exotic and it’s fun to try some that you’ll never see in the big chains. The Greenland Farms Supermarket produce section. With its location being so central for many people, it provides a daily walk for those who like to combine exercise with small amounts of shopping. For a big shop, GFS has a convenient parking lot beside the store, accessible from Lawrence or Weston Road. GFS, stubbornly refused my entreaties to do an interview for this article, however, this place is just too good to ignore. It’s open almost every day of the year (yes, even Christmas Day) and besides, you’ll get big karma points for shopping locally. Where: 1966 Weston Road just north of Lawrence. Hours: Open 7 days, 9am – 9pm. Previous Previous post: Weston C.I. wins Best Buddies award.